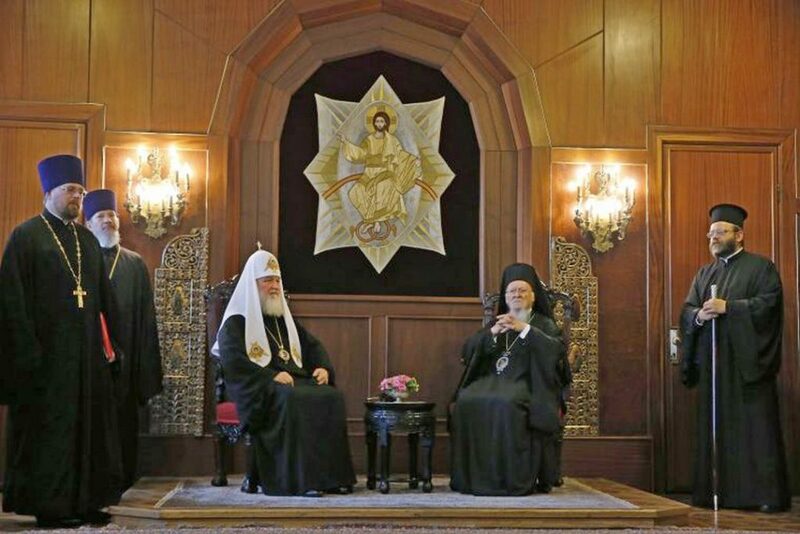 CONSTANTINOPLE – Ecumenical Patriarch Bartholomew sent a two-member Exarchy to Ukraine to pave the way and do all the necessary proceedings for the granting of Autocephaly status to that country’s Orthodox Church. The Patriarchate, via a press release, said that “It is announced that in the context of the decision to grant autocephalous status to the Orthodox Church in the Ukraine, it has named as representatives in Kiev Archbishop Daniel of Pamphilon of the Ukrainian Orthodox Church in the United States and Bishop Hilarion (Rudnyk) of Edmonton of the Western Eparchy of the Ukrainian Orthodox Church of Canada.” Both of those churches fall within the Patriarchate’s Ecclesiastical jurisdiction. High ranking officials in the Moscow Patriarchate have reacted very strongly to this Autocephaly, through numerous announcements and interviews, deeming it a schism in the Orthodox Church, an interruption of Eucharistic communion within the Patriarchate. Specifically in a September 8 statement, the Moscow Patriarchate stated that “the Holy Synod of the Russian Orthodox Church expresses its resolute protest against and deep indignation at the communique published on September 7, 2018, by the Chief Secretariat of the Patriarchate of Constantinople Holy Synod announcing the appointment of two hierarchs of this Church – Archbishop Daniel of Pamphilon (USA) and Bishop Hilarion of Edmonton (Canada) as ‘exarchs’ of the Patriarchate of Constantinople for Kiev. “This decision has been adopted without an agreement with Patriarch Kirill of Moscow and All Russia and Metropolitan Onufry of Kiev and All Ukraine and has constituted a gross violation of the church canons prohibiting bishops of one Local Church to interfere in the internal life and affairs of another Local Church (Second Ecumenical Council Canon 2; Council of Trullo Canon 20; Council of Antioch Canon 13; and Council of Sardica Canons 3, 11 and 12). It entirely contradicts the up-until-now invariable position of the Patriarchate of Constantinople and personally Patriarch Bartholomew, who has repeatedly stated that he recognizes His Beatitude Metropolitan Onufry as the only canonical head of the Orthodox Church in Ukraine. Metropolitan Hilarion, head of the Moscow Patriarchate’s Department for External Church Relations, said on September 8 that “the Patriarchate of Constantinople announced yesterday that it was sending two exarchs, that is, its special representatives, to Kiev. 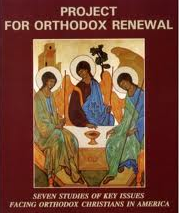 Today the Holy Synod of the Russian Orthodox Church has made a statement pointing to the unlawfulness of this step. The sending of exarchs (special representatives) or any other representatives to another Local Church can be done only with an agreement of this Local Church. No request whatsoever has been made to either the Patriarch of Constantinople or the Patriarch of Moscow or Metropolitan Onufry, who has been repeatedly recognized publicly by Patriarch Bartholomew as the only canonical head of the Orthodox Church in Ukraine. “The Patriarchate of Constantinople is now openly on the warpath. And it is a war not only against the Russian Church, not only against the Ukrainian Orthodox people; it is a war actually against the unity of the whole world Orthodoxy. Because if this, I would say mean and perfidious, project is carried out, most of the Orthodox faithful in Ukraine will reject this autocephaly. 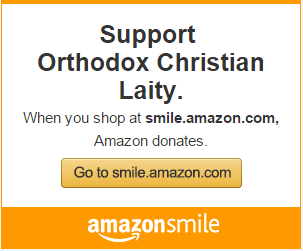 The Russian Orthodox Church will not accept this decision. We will have to break off communion with Constantinople, and then Constantinople will no longer have the rights to claim leadership in the Orthodox world. Now the Patriarchate of Constantinople pose as a sort of leader of the 300 million-strong Orthodox population of the globe and the Patriarch of Constantinople is perceived as almost the Orthodox pope. But at least a half of this 300 million-strong population will no longer recognize him even as the first in the family of Orthodox Churches. Patriarch Bartholomew remains steadfast in the Holy Synod’s decision to proceed in granting the Autocephaly, in order to heal the schism and ecclesiological anomaly that has existed there for a number of years.